Leading up to the three day Memorial Day weekend, the Elk Grove Police Department has announced that drunk driving checkpoint will be conducted. The DUI and drivers license check will be held at an undisclosed location within the City of Elk Grove this Friday, May 22 from 7 p.m. to 3:00 a.m. Saturday. 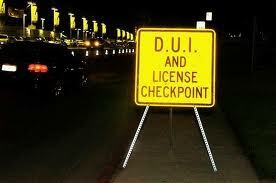 The checkpoint will focus on removing impaired drivers, as well as unlicensed drivers from the roadways. Funding for the sobriety checkpoint is provided through a Selective Traffic Enforcement Program (STEP) Grant that was made available by the California Office of Traffic Safety through the National Highway Traffic Safety Administration. For additional information, please contact Sergeant Dan Schnepple at (916) 478-8116.